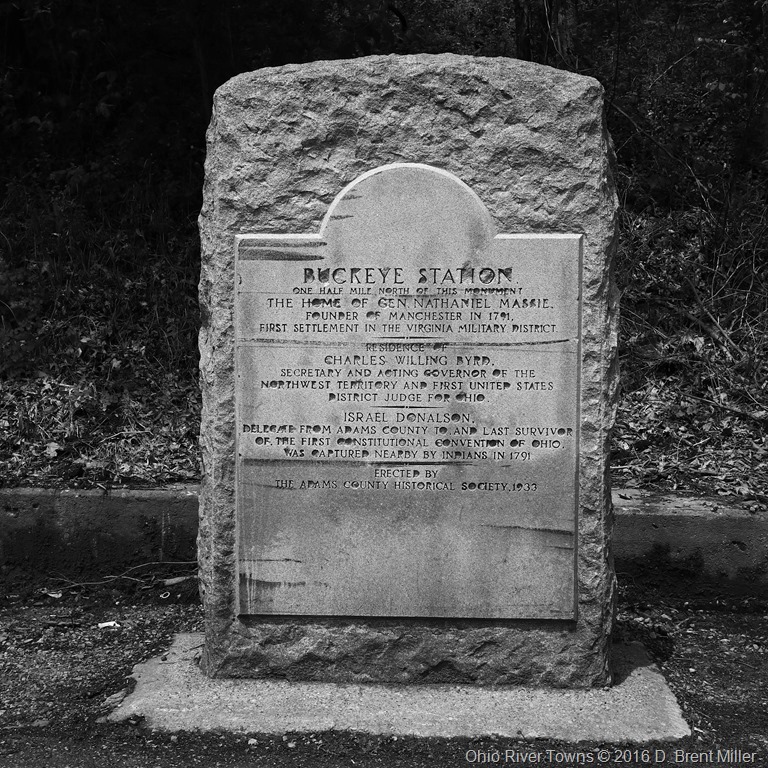 Are you one of those drivers who will pull over to read an historical marker along the highway? I am. And, that’s how I found the marker for Buckeye Station. Buckeye Station was built in 1797, and is the oldest documented structure built in the Northwest Territory of Ohio. Built by General Nathaniel Massie, who founded the first town of Manchester, and a dozen or so more towns including Chillicothe, the first capital of the state of Ohio. Buckeye Station was so named because it was built with the timber from Buckeye trees. Massie was a surveyor and politician. Buckeye Station sits on the top of the bluff over looking the Ohio River on private property.